Add flavourings other than extract as you bring cream to a simmer, then let it steep for a bit off the heat (you don't want to cook the cream down too much) and strain it out, then rewarm it enough to melt the chocolate. 1In a smallish saucepan, bring your cream to a simmer and then turn off the heat. If you're using extract, add it now, then dump in the chocolate and let it sit for several minutes. Give it a stir until it's smooth and chill until firm. 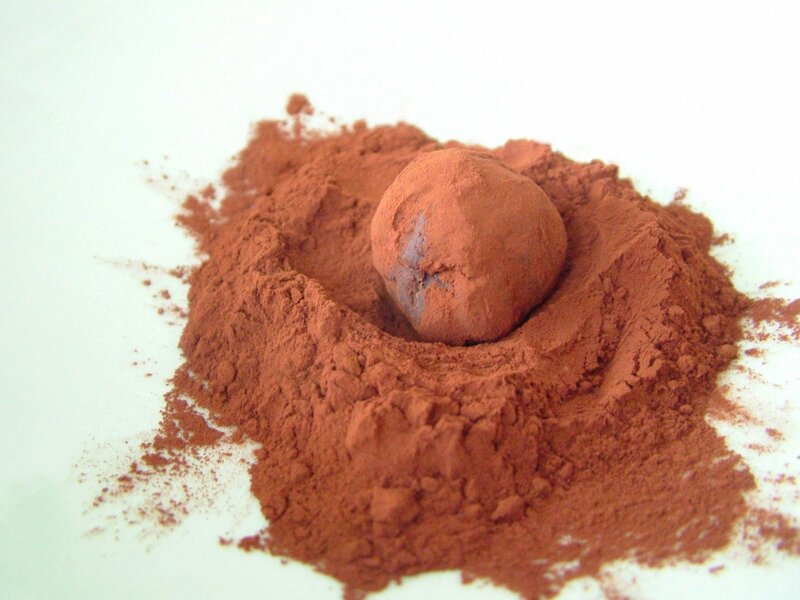 Roll into balls and roll the balls in cocoa to coat. Store in the fridge, but serve at room temperature (chocolate should never be served cold).